Innovation can be found in a whole range of aspects. But where is the best place to start, and why? Here’s a number of inspiring examples to illustrate the ‘servitisation’ trend. Drawing up a coherent innovation plan to match your company’s strategy is not that easy. We can also help you via a 4-step structured approach in which 'inspiring' marks the first important step. This is done using specific examples that provide better understanding of dominant patterns (trends) and showing how the business, product and production aspects evolve. This article explains the ‘servitisation’ trend in more detail. With the first model, the ‘product service system', the product is dominant and the largest revenue component is realized through the sale of products. In the second model, 'service dominant logic' is where the service aspect is the most important revenue component. In the third model, 'service integration', not only your own services, but those of partner companies are deployed in order to meet as many of the customer’s needs as possible. In the fourth model, 'digital servitisation', the data connected to the use of products forms an essential element of the services provided for these products. Each of the models tries to capture the value of the service provided as well as possible. Whether a model works properly or otherwise depends largely on the supplier-customer relationship. A problem arises if a customer requires a higher model, but the supplier cannot follow it up. In such cases the customer will probably try to find an alternative supplier. On the other hand, a supplier can be running ahead with respect to customer needs that have not yet arisen and demand higher prices for this, which can also lead to problems. Therefore customers and suppliers must feel good about the model they have chosen for their transactions. We explain each of the models for the ‘servitisation’ trend in greater detail and illustrate this along with a specific example each time. In the ‘product/service' model the main focus is on the product and the services are closely linked to the product. Good customer relationships are formed by providing customers with an efficient maintenance service. Moreover, the maintenance activities generate recurring income streams and spare parts often enjoy higher margins. 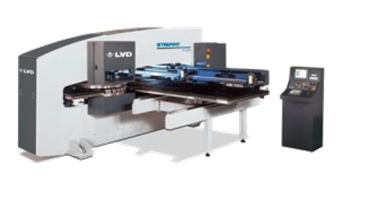 LVD delivers fully integrated production solutions for sheet metal working. Customers receive efficient solutions and good service. The price/performance ratio is also good. In the ‘service-dominant’ model the service is the most important revenue component. Instead of simply selling products, services represent the main element of the sales. This provides income spread over time. In many cases it is not the customer that makes the investment, but the product maker. A direct consequence of this is the product maker’s need for capital with the corresponding need for financial services. Arcomet constructs and rents out cranes. Designing and constructing cranes is no longer the main activity. More than 90 per cent of their income is derived from renting out cranes. Contractor customers no longer purchase cranes for all their construction work, but instead hire cranes with the right range and lifting capacity that best suits the current construction work as and when required (housebuilding, industrial construction, renovations, etc.). Part of the service includes erecting the cranes on site. Arcomet can also provide a qualified crane operator if necessary. It is never a problem when a competitor brings out a new crane model, rather it is an opportunity to add this new crane model to their own hire fleet. Arcomet currently has around 2,000 (mainly recent) construction cranes in its hire fleet. This of course requires a lot of capital that has to be recouped as and when services are provided. Arcomet also has its own design and production facilities for constructing very specialised cranes. Extra telescopic cranes are not required for setting up the self-assembly crane. The crane cables are used in the self-assembly. This means that it requires only a single journey to the site and for setting it up. The time taken to set everything up is kept to a minimum. With the ‘service integration’ model the support given exceeds what can be provided in-house. The broader range of requirements can be fulfilled through collaboration with different players who provide complementary services. This means that turn-key solutions can be offered. The customer has little to do and can therefore concentrate on their core activities. 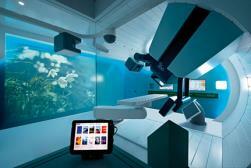 IBA designs proton therapy facilities for treating cancer. In addition to the delivery, supply and maintenance of their own proton therapy equipment, IBA also provides a whole range of peripheral services including building plans, obtaining building permits, concrete shuttering and the provision of utilities. By working in collaboration with others the customers (hospitals) are able to continue focusing on providing patient care and concentrate on the clinical aspects of the illness. Integrating digital services into product-service systems means that people can have accurate data about the use of a product over its complete life cycle. This provides the product developer with very valuable information about how a product is used, resulting in new and improved versions becoming available over shorter time periods that are better able to meet the customer’s needs. On the other hand, using the available data, services can be provided at competitive prices including remote diagnosis, customer warnings, mobile services, etc. Digital servitisation can impact on the entire value chain. This can lead to new income flows and closer customer relationships. Setting the prices for the services provided can be applied dynamically, depending on the circumstances. 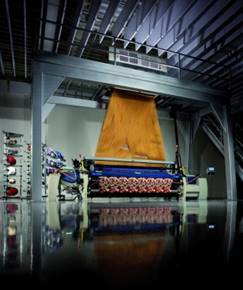 The weaving looms made by Picanol are fitted with an array of sensors. All the information coming from them is collected in a ‘data lake’. This means that people with different backgrounds and expertise can work together (at the weaving loom) and provide very high quality services. Moreover, based on the available data it is also possible to obtain new understandings of how the machines are used. This provides an interesting source of inspiration for the following generations to design weaving looms. Would you like to find out more about what you can do in your company? In the next two blogs we will be explaining yet more trends using examples. Go to our inspiration session taking place on 29 March at the Sirris buildings in Heverlee for a comprehensive introduction to the ten trends. Participation is free, but you must register beforehand. Once you are inspired... over to the test bed! For many companies, the realization of digital servitisation involves the use of new technical skills and technologies. This goes hand in hand with the introduction of new business models. Having a proof-of-concept that is close to the company context forms an important milestone for speeding up the adoption process and further detailing of the business case. However, many companies do not have the technical in-house skills for realizing such a proof-of-concept. When combined with the introduction of new business models it can also slow down the transition to digital servitisation models. In order to help with this, Sirris along with VLAIO, have set up a 'test bed' for digital servitisation: we are providing an environment in which companies can carry out experiments in order to realize their servitisation proofs-of-concept. Would you like to take part? Further information here! The ‘Innovative enterprise: from inspiration to action plan’ pilot project has been made possible with support from the Smart Hub Flemish Brabant.